This course is an introduction to the principles and practice of scholarly editing. The emphasis will be on the methodology of preparing an edition, either documentary or critical, and on the thinking that informs the decisions editors make about the issues they confront. In learning how to prepare new documents, the class will consider principles of textual criticism, that is, the study of the history of texts and the evaluation of their changes. The course will concern itself with both literary and non-literary texts, of different genres and eras; with both published and unpublished materials; and with manuscript, printed, and electronic sources. As such, it will be of special benefit for anyone preparing an edition (the lot of most academics at some point in their careers), for scholars and other readers wishing to understand the nature and reliability of the texts they use, and for teachers choosing editions for the classroom. It will also help those who wish to understand the terminology and concepts of textual scholarship. Additionally, it will benefit academics who think about what happens to texts made up of words or other visual symbols, in fields as diverse as law, religion, literature, and music. Finally, it will aid librarians and booksellers, who superintend and make available the documents by which the texts of works are transmitted, in understanding better the uses of the objects with which they deal. The week will be structured largely according to activities involved in preparing a critical edition: locating materials, comparing them with each other, determining their relationships, establishing a new text according to some specified standard, and developing a format for presenting the results. It will include practical exercises as well as an introduction to devices such as the Hinman Collator. The course will culminate with each student presenting a thorough critique of an edition, either one already published or one of the student’s own now in progress. Because the focus is historical, the course will not address directly questions such as how a publisher’s editor ought to adjust the text of an author. And because it centers on texts themselves, it also will not deal with how to annotate the contents of a book. In describing their interest in the course and the ways in which the course would be pertinent to their own work, applicants should indicate any previous editing experience, any plans for future editorial projects, and their level of bibliographical understanding (which is a strong advantage but not a prerequisite for the class). David Vander Meulen teaches this course. 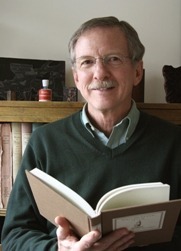 G. Thomas Tanselle teaches a precursor course, "Scholarly Editing." David L. Vander Meulen is Professor of English at the University of Virginia, where he teaches eighteenth-century English literature, bibliography, and textual criticism and scholarly editing. From 1991 he has been editor of Studies in Bibliography, which he edited with Fredson Bowers for the previous seven years. Among his editorial projects are Pope’s Dunciad of 1728: A History and Facsimile (1991); Samuel Johnson’s Translation of Sallust (with G. Thomas Tanselle, 1993); and William Faulkner’s Mosquitoes (with Thomas L. McHaney, 1997). Beginning in 1984, he has frequently presented RBS evening lectures and guest lectures in RBS classes.